Inspired by '70s styles, these dramatically flared jeans are cut from soft, midweight stretch denim with artful fading and whiskering. 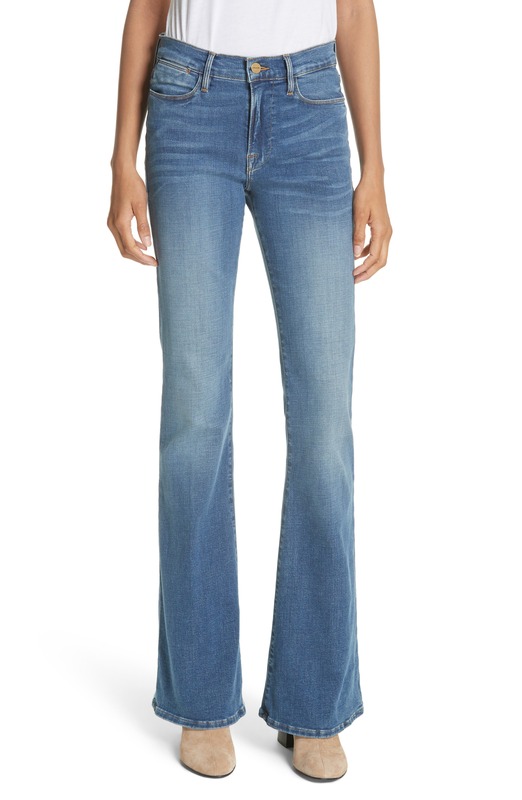 Style Name: Frame Le High Flare Jeans (Columbus). Style Number: 5526509. Available in stores.